You can buy single licenses for as many users as you like, however if you are buying more than 9 single licenses, you could benefit from a group license and should contact us here. You can pay using credit / debit card or by uploading a purchase ordering PDF or Word format. Purchase orders will be verified by our finance team. 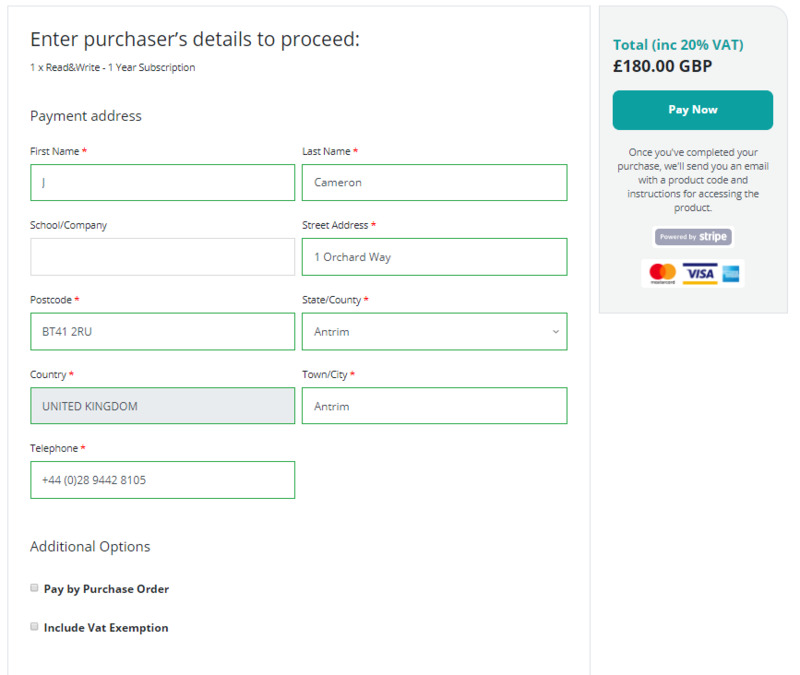 Existing customers must login with the same email address / account details that they used previously to buy Texthelp products. You will need to provide us with your billing address as well as your credit / debit card details or a purchase order in either MS Word or PDF format. Get started by visiting my.texthelp.com and logging in, using either your Google, Microsoft, Facebook, Twitter or Linkedin account. This allows us to personalize your experience and allows a faster payment process for you. 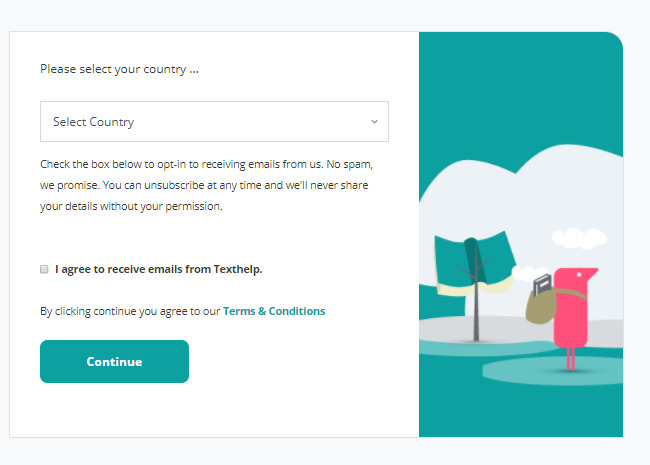 Your account must use the same email address that you used previously to buy a Texthelp product. To use a different email address please contact us. If the license(s) was originally purchase by someone else, please get in touch through our license enquiry form. If you don’t have one of these accounts to login you can get in touch through our login enquiry form. When logging in for the first time, you’ll need to tell us your country so we can provide prices in the correct currency. Next time you login you won’t need to do this. 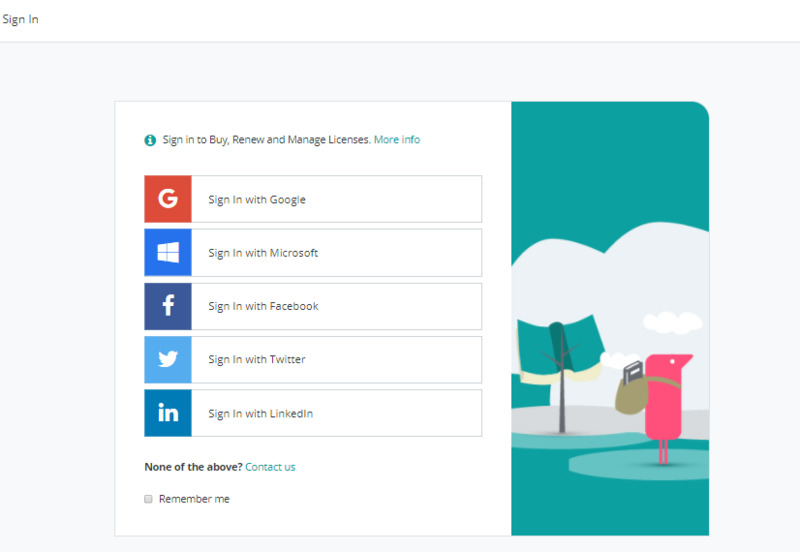 After clicking continue you’ll arrive at your customer portal where you can buy new licenses generate sales quotes and renew existing licenses. 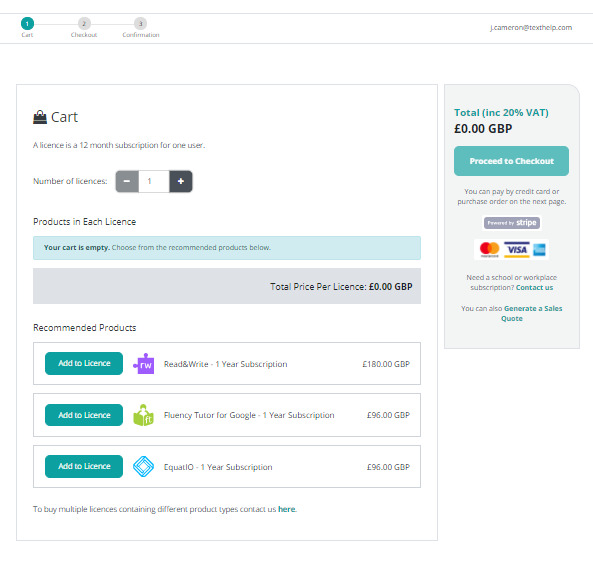 To buy new products hit the “Buy Licenses” button. You can also renew existing licenses by clicking the “renew” button at the end of each row. 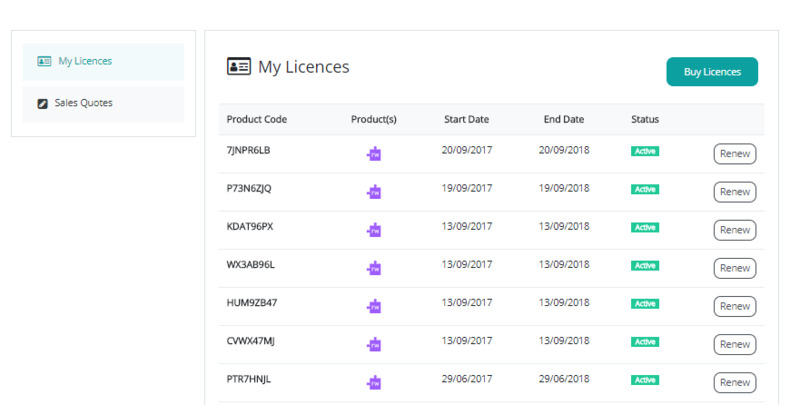 To buy multiple licenses containing different products (e.g. 1 license with Read&Write and then 1 license with Read&Write + EquatIO) you should get in touch through our license type enquiry form. You can pay by purchase order on the next page. To pay by purchase order click the “Pay by purchase order” box then upload either a PDF or Word document detailing your PO. This will be reviewed by our finance team when you click “Pay Now”. 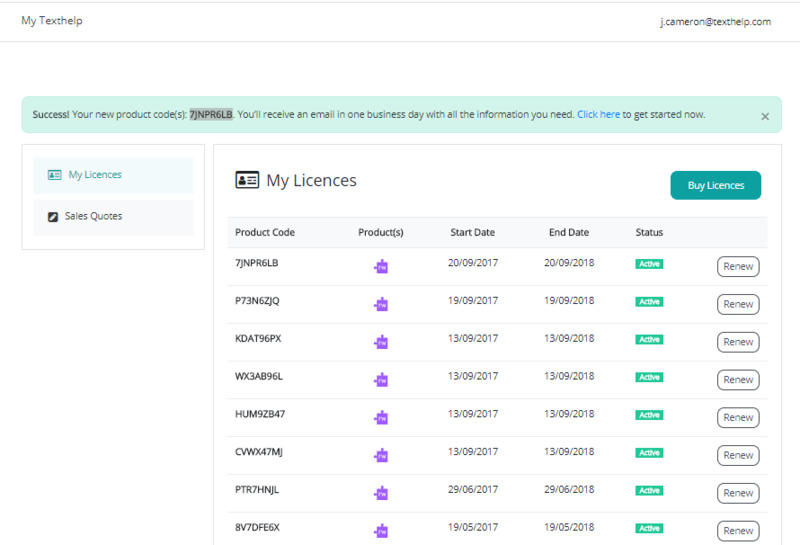 Once you have successfully paid you’ll see the below screen, which is your customer portal detailing the licenses and products you have bought.